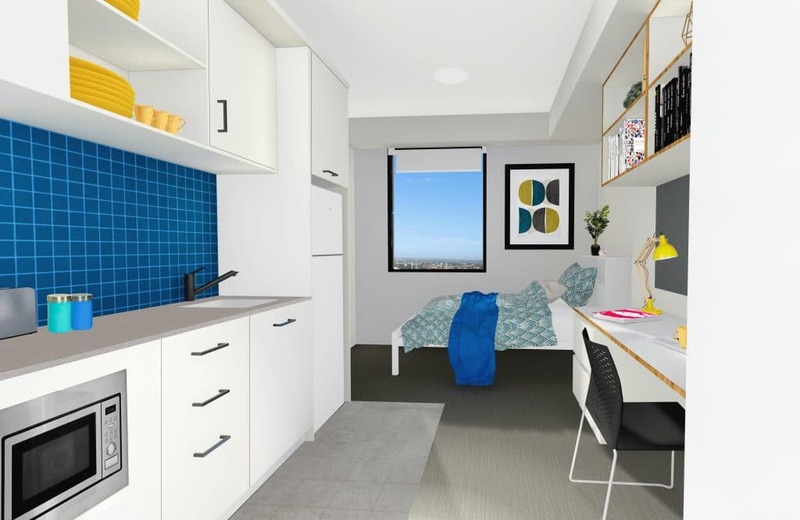 dwell East End Adelaide is a brand-new purpose-built student accommodation opening in 2019. 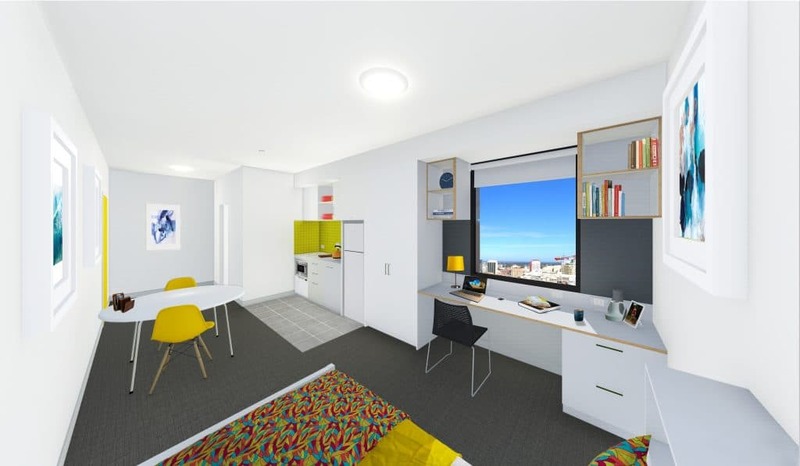 It is strategically located off Rundle Street on the eastern side of Adelaide City Centre, within walking distance to the University of Adelaide and University of South Australia and in close proximity to the main Rundle Mall shopping strip. dwell East End offers quality accommodation with vibrant Community with weekly events and activities. 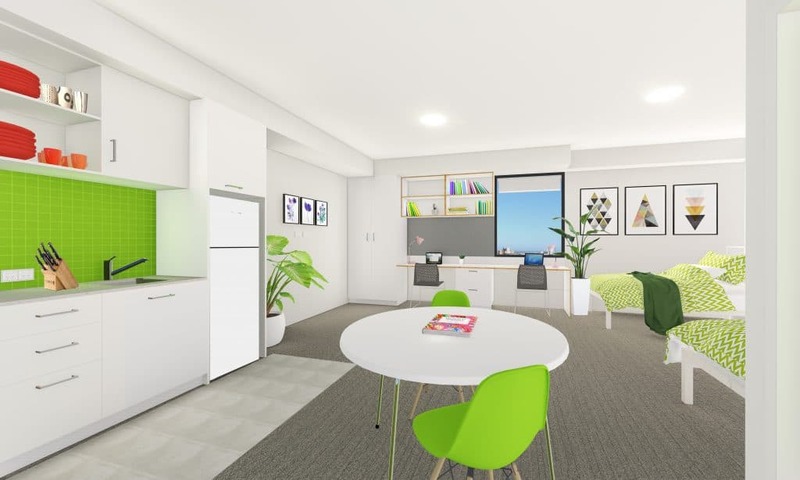 Communal facilities and Spaces include a Study room, Cinema room, Games room, Gym and at level 21 a Communal Kitchen & Dining area with rooftop terrace. The well-appointed and spacious Studio Apartment is approximately 22 sqm, and provides a stylish, open plan space to unwind and relax. 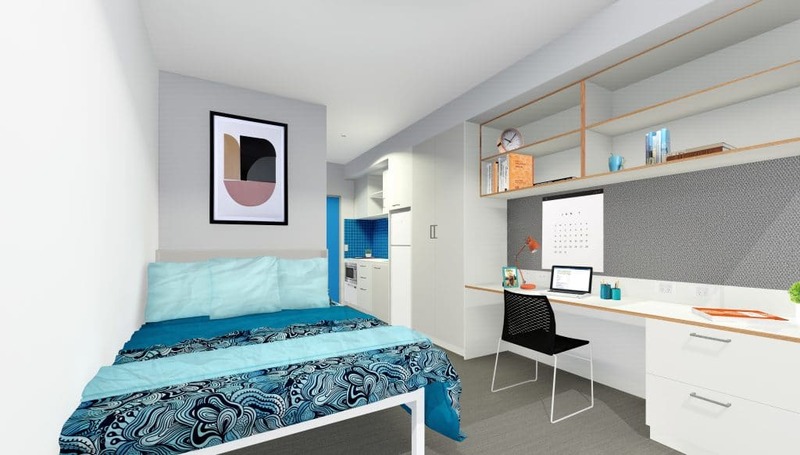 It offers a comfortable double bed, and a generous study area with plenty of storage space. All of our apartments come with apartment-controlled heating/air conditioning, ensuite bathroom, kitchenette with dishwasher drawer, refrigerator, and convection microwave. Complimentary 200 GB internet access per month and utilities are included in your rent. The compact yet functional Deluxe Studio is flooded with natural light. Offering a comfortable double bed, and a private study area, it is approximately 19 sqm in size. Our Premier Large Studios are fitted with a double bed and a living area equipped with dining table and chairs. It is approximately 26 sqm in size. 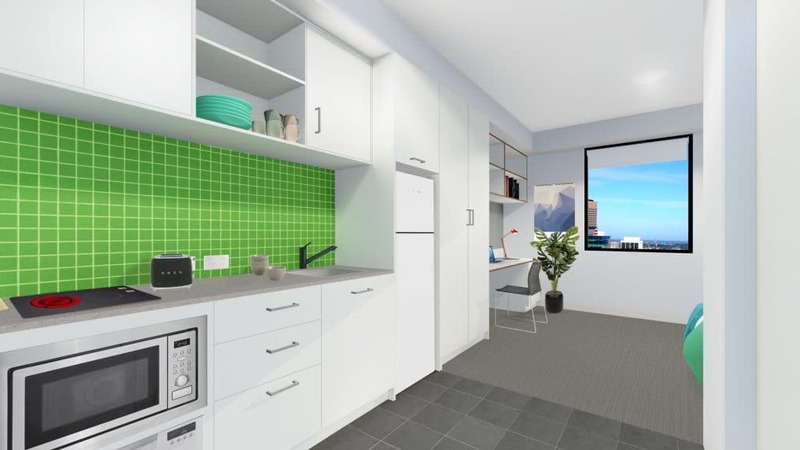 The spacious Studio is flooded with natural light, and offers a generous study area and abundant storage space. The compact yet functional Deluxe Studio is flooded with natural light, and provides a stylish, open plan space to unwind and relax. Offering a comfortable double bed, and a generous study area, it is approximately 19 sqm in size. Our Premier Twin-Share studio to enjoy added privacy for the each of you. It is approximately 38 sqm in size. The two comfortable King Single beds are separated with bookshelf dividers for privacy, while adding plenty of storage space. Individual study desks, and a dining table with chairs are provided. Our Deluxe Twin-Share studio apartment is approximately 38 sqm in size. Offering two comfortable King Single beds, wheelchair accessible ensuite bathroom, individual study desks, and a dining table with chairs.